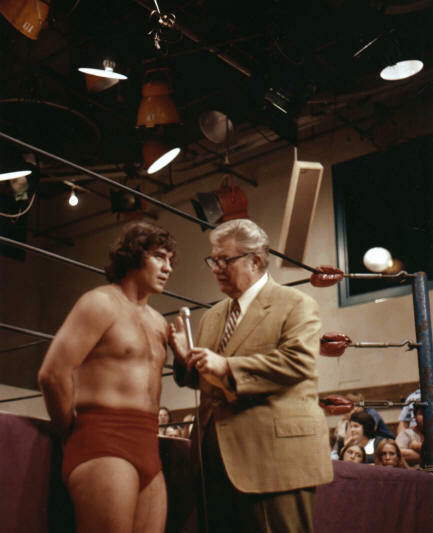 Interview with director Mark de Castrique who directed Championship Wrestling on WBTV-3 TV in the early 1970s. Rare Photos from the WBTV photo archives. Special thanks to Mike Cline, Carroll Hall, and Barry Caldwell for their assistance with this feature. Thanks also to G. B. Warren and WBTV. This feature was originally published 1/5/06, and updated 1/7/06, 8/8/07, 4/25/10, 3/12/11, 8/08/12. In the late 1950s, local television stations like WBTV in Charlotte were trying to develop inexpensive local programming to fill their broadcast day. 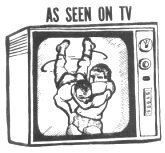 Wrestling from Chicago and other major markets was already popular on national television. Local promoter Jim Crockett was always looking for ways to promote his product to a larger audience. In that regard, WBTV and Jim Crockett Promotions, it seemed, were made for each other. In a mutually advantageous arrangement, Jim Crockett would provide the wrestlers and the ring at no charge to WBTV and in exchange he got huge exposure on their station to promote his local events. WBTV got inexpensive, yet very popular, programming which in turn provided excellent advertising revenue for the station. In 1958, Jim Crockett Promotions brought their top stars to WBTV in their hometown of Charlotte. 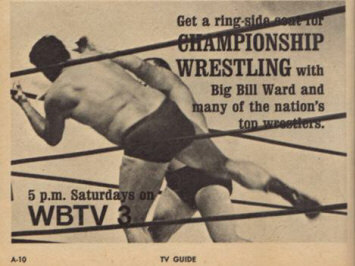 Championship Wrestling hit the airwaves with WBTV sports personality Bill Ward hired to announce the matches. Studio wrestling in the Mid-Atlantic area was born. Similar arrangements were soon struck with WGHP in High Point and WRAL in Raleigh, NC utilizing their own broadcast talent and Jim Crockett's wrestlers. 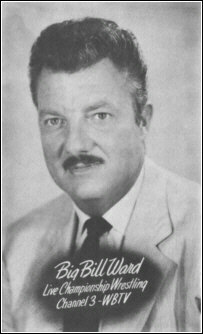 Ward called the matches at WBTV for the next 16 years, until Jim Crockett Promotions shut down the tapings at both WBTV and WGHP to consolidate all tapings at WRAL in Raleigh. For a brief period of months in late 1974, Ward co-hosted (with Bob Caudle) the second of two Mid-Atlantic Wrestling shows taped at WRAL. RARE HISTORIC WBTV STUDIO VIDEO FROM 1961! and aired Saturday April 22, 1961.
a short article with great memories involving the very footage seen in these historic clips. Newspaper article following the Rogers/Darnell match promoted off these TV clips. "8,886 Watch Wrestling" - View the Newspaper Clipping following the Charlotte match between Billy "Tarzan" Darnell and "Nature Boy" Buddy Rogers. Jerry Brisco and Big Bill Ward at ringside in the WBTV studios in Charlotte. 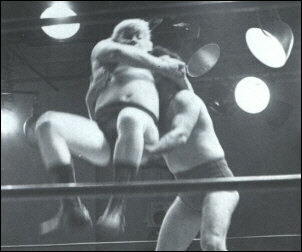 (L) Johnny Weaver lifts Rip Hawk in this rare photo from the WBTV studios. 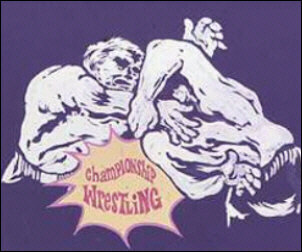 (R) An art slide used to in 1967 to promote the wrestling program, taken from the BT Memories website. Two screen captures from rare archival video from a 1961 taping of Championship Wrestling at WBTV. The images are from a match between US Champion Buddy Rogers and Joe Garcia. 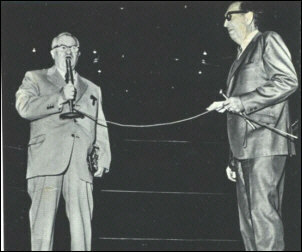 (L) NWA President Sam Muchnick in the ring with George Harbin, a former wrestler who was ring announcer for the WBTV studio matches. 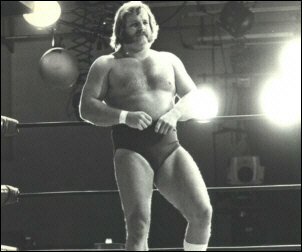 (R) Ole Anderson prepares for his match in the ring at WBTV. An ad for an upcoming wrestling program in a Charlotte wrestling program from 1967. During the infancy of that "fad" (some claimed) called television, a station employee was often called on to wear many hats. In one day, he might have covered a news story (shooting his own film footage--and it was real film in those days), be the on-air weatherman, and then in the early evening, host a prime-time movie. WBTV, known on-air as "WBTV 3", is the CBS affiliate in Charlotte, North Carolina, the 28th largest market in the United States. It is owned by Greensboro-based insurance and broadcasting conglomerate Jefferson-Pilot, which also owns WCSC-TV in Charleston, South Carolina and WWBT-TV in Richmond, Virginia. Jefferson-Pilot's broadcasting operations are headquartered in Charlotte, making it one of only three locally-owned and operated stations in the market (the others being Fox's WCCB-TV and independent WHKY-TV). Jefferson-Pilot (then known as Jefferson Standard) took this station to the air on January 15, 1949. It was the first television station in the Carolinas and the oldest between Richmond and Atlanta—beating Greensboro's WFMY-TV (another CBS affiliate) by a few months. Jefferson-Pilot got into Charlotte broadcasting two years earlier when it bought the city's oldest radio station, WBT-AM 1110—the first fully licensed radio station in the South. It still owns the radio station today. WBTV has always been a CBS affiliate, but had secondary affiliations with NBC until 1957, when WSOC-TV signed on. It shared ABC programming with WSOC until 1964, when WCCB signed on. Despite this, it is one of only a few stations in the country (not counting owned and operated stations) that has had the same call letters, the same owner, the same channel location and the same primary network affiliation throughout its history. When Atlanta's WAGA-TV switched to Fox in 1994, WBTV became the longest continuously-affiliated CBS station south of Washington, DC. For many years, WBTV was the far-and-away market leader. In fact, its dominance was so absolute that it was once said the dials of most Charlotteans' TV sets were "rusted on channel 3." Since the '90s, however, WSOC has taken a large lead in the news race. However, WBTV still has a small lead sign-on to sign-off because it's the only Charlotte station that puts a decent signal into the mountains (the Charlotte market includes several counties in the Blue Ridge region) without the need for translators. WBTV generally clears the entire CBS lineup, but sometimes preempts CBS' college football and basketball coverage in favor of Jefferson-Pilot's Atlantic Coast Conference sports programming. For many years, it also preempted whatever game show CBS aired at 10:30, instead airing the previous day's Price is Right before airing a noon news and variety show, "Top O' the Day," at 11:30 am.